Plan an event – Host a forum, workshop or seminar in your community and share the tools people need for today’s economy. Partner with local organizations such as a police department or library. Write about it – Draft an article and send it to local organizations so they can promote consumer education through their publications. Blog about it – Add a comment about NCPW to blogs you regularly read. 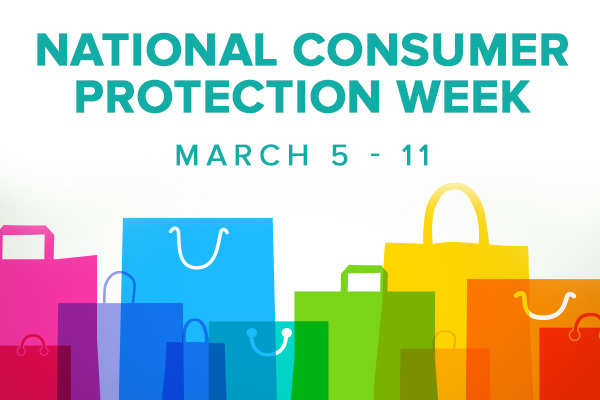 Keep your comment brief and include a link to your NCPW event, your website for consumer tips, or consumer.ftc.gov. Spread the word – Encourage your audience to tell friends, family, colleagues and neighbors about NCPW. Word of mouth is powerful!